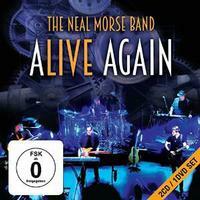 This new live set from Neal Morse includes the double disc CD set and a bonus DVD. The performances are powerful. The DVD includes both the concert and a documentary about the tour. The documentary includes interviews, behind the scenes footage and more. There is even a whole bit focusing on Morse trying to find a doctor while under the weather on tour. The DVD is a nice addition. The material is taken from Morse’s solo career with the exception of one song from his Spock’s Beard days. His solo stuff is Christian music, but the music is strong enough that it works for those not of that faith. That said, the one solo cut with just Morse and an acoustic guitar doesn’t hold up as well without subscribing to the lyrical concept. All in all, though, this is quite a strong set of music. This instrumental introductory piece is quite symphonic and powerful. Starting with an acapella section, this powers out to some killer fast paced and hard edged prog rock from there. As this works through there are some cool shifts and changes. I particularly dig the jam with the funky bass line. There is a very Rick Wakeman like bit right after that. After a mellower movement some nearly metallic guitar sounds take control. We’re brought out into a frantic and hard edged progressive rock jam from there. The piece keeps evolving, though. The closing jam is particularly effective. The fast paced excursion that opens this is very fusion-like. The cut works out from there into a smoking hot jam. This piece is another twisting and turning progressive rock excursion. This isn’t nearly as long as the previous piece, but it sure makes great use of every bit of its roughly six minute duration. The riff that starts this is almost heavy metal, and there is definitely a crunch to a lot of this thing. It has a real soulful metal meets prog edge to it in a lot of ways. There is an acapella drop back in the track, but otherwise it’s a pretty rocking thing. Here they turn their attention to Morse’s Spock’s Beard era. This prog rocker is bombastic and powerful stuff in the introductory section. It drops back to more melodic music from there. The evolution continues as the music moves ever forward. As advertised, this is a keyboard solo. It’s piano oriented. There are classical music type sections, more rocking ones and perhaps some jazz in the mix. It takes us straight into the next tune. Powering out with some intense prog rock, this quickly becomes quite a musical excursion. There is a scorching guitar based portion to the extended instrumental opening. They bring it to more melodic progressive rock from there. It keeps shifting and changing as they work forward, though. There are some pretty intense moments along the journey of this epic piece. At times it’s quite Yes-like, but there are plenty of other sounds here, too. There is a classical drop back around the ten minute mark. Now, this cut is based on acoustic guitar, too. It’s a more intricate and involved piece, and other layers are added over the top. That makes this one less reliant on the lyrics. 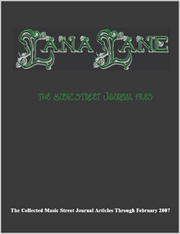 It’s very much a 1970s rock kind of thing, perhaps like Crosby Stills and Nash in a lot of ways. This is a great guitar solo. It’s intricate and proggy, yet isn’t an acoustic solo. It even works to something a little like Jimi Hendrix later. We’re even taken into something that’s almost heavy metal. This works directly out into the next tune. The hard rocking edge from the guitar solo is the start of this. It drops to acapella from there. A hard edged jam emerges beyond that. The thing keeps changing, growing and evolving as it moves forward. It drops to mellower, almost jazzy stuff for the next vocal section. The changes continue, though. Randy George gets a smoking hot bass solo in the middle of this thing. Starting more atmospheric and trippy, this works out to rocking stuff as it continues. It’s a serious epic, running over half an hour. They bring it through a succession of instrumental movements before dropping it way down for the vocal arrangement. A series of instrumental movements take it forward, in rocking directions for a time. It works to mellower stuff around the ten minute mark before powering forward in screaming territory. Everyone gets a chance to strut his instrumental stuff during an extended jam mid-track. After it comes out of that a mellower, melodic movement takes over for the next vocal section. The cut continues as that portion evolves. Around the twenty seven minute mark it powers out for some more intense jamming. It gets into some powerful neo-classical territory for a time. A triumphant prog segment arises for the next vocal movement. A different instrumental section emerges later and takes it through the next changes. Bouncy and energized, this is very much a classically styled piece during the introduction. It works out to more rocking music from there. This piece almost seems to serve as the first half of the next tune. Coming out of the last one, this rocks out quite well. It’s a smoking hot prog rocker. It’s more of a mainstream AOR kind of thing. More of a pure prog styled piece, this one also comes out of the number that preceded it. It moves forward nicely with a bit of that AOR thing still in place. There are things here that make me think of Genesis quite a bit. Another that seems a continuation of what came before it, this is an AOR styled prog stomper. It’s a potent cut that really rocks.